FBI Director James Comey expressed frustration Wednesday’s with the federal government’s failure to better track police-involved shootings, The Washington Post reports. Comey told a gathering of about 100 politicians and law enforcement officials that it’s embarrassing and frustrating that the bureau doesn’t have better data on police shootings than databases kept by some media. “It is unacceptable that The Washington Post and the Guardian newspaper from the U.K. are becoming the lead source of information about violent encounters between police and civilians. 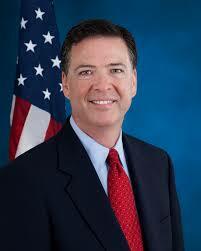 That is not good for anybody,” Comey said. Posted: 10/8/15 at 9:48 AM under News Story.